Mount Zealand is a 4,260 foot mountain located in Whitefield, New Hampshire. 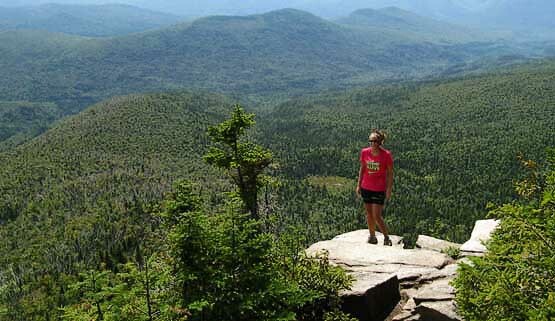 The mountain is in the Twin Range (along with 8 other mountains; 7 of which are 4,000 footers) of the White Mountains. Zealand Mountain stands on a spur ridge, northeast of Mount Guyot. There are no views from the summit of Mount Zealand, but there are incredible views off Zeacliff, 1.6 miles below the summit along the Twinway Trail. 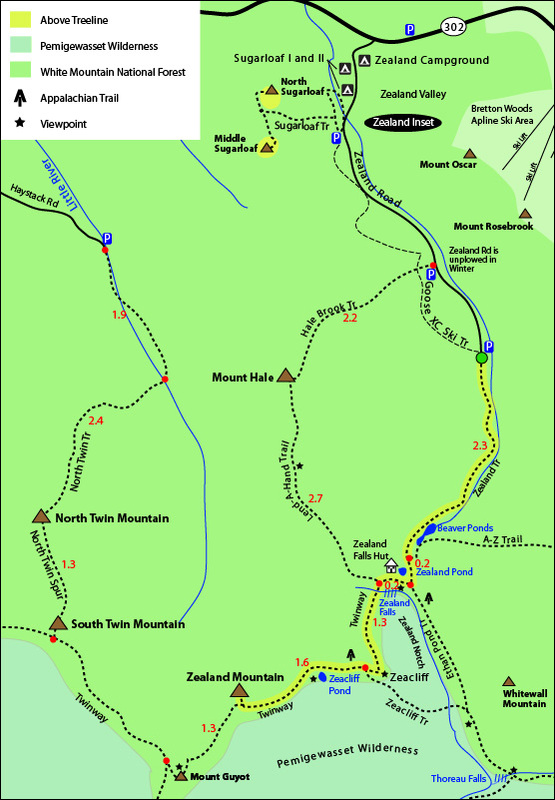 The shortest and most scenic route to the summit is by taking the Zealand Trail, passing the Beaver Ponds, and crossing over to Twinway Trail, passing the Zealand Falls Hut, Zealand Falls, Zeacliff and Zeacliff Pond. Views from Zeacliff on August 24, 2011. The trail map below shows how to get to the summit of Zealand Mountain via the Zealand and Twinway Trail. From the Zealand Parking area off Zealand Road, begin up the Zealand Trail, and hike for 2.3 miles. Just after the Beaver Ponds, there will be a junction with the A-Z Trail. Stay straight for another 0.2 miles along the Zealand Trail. At the next junction, turn right towards the Zealand Falls Hut and Zealand Falls instead of staying straight onto the Ethan Pond Trail, which is part of the Appalachian Trail. Continue for another 0.2 miles past the hut. At the next junction, stay left onto the Twinway Trail, rather than turning right onto the Lend-A-Hand Trail towards Mount Hale. Continue up for 1.3 miles until you reach a junction where you can turn to see Zeacliff with incredible views! 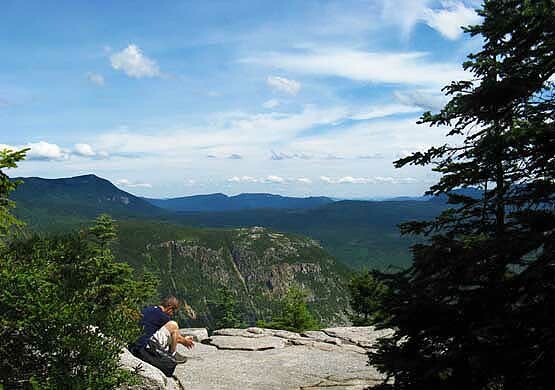 After enjoying the views, continue up the Twinway Trail for another 1.6 miles to the summit of Zealand Mountain, passing an optional turn on the left about halfway, to see Zeacliff Pond. To get back to the Zealand Parking area, retrace your steps the same way you came up. The parking lot for the highlighted hike above is at the very end of Zealand Road in Whitefield, NH. Take exit 35 off I-93 towards US-3 N / Daniel Webster Highway, towards Twin Mountain / Lancaster. Follow for 10.3 miles. Turn right onto US-302 E / Dartmouth College Road. Continue for 2.2 miles. Turn right onto Zealand Road. Drive roughly 3.5 miles to the end, where you will reach a parking lot.